This book could be read to your kids at daycare, preschool or elementary. “Peaceful Fights for Equal Rights” hopes to turn your 4-to-8-year-old child into a #resist protester. 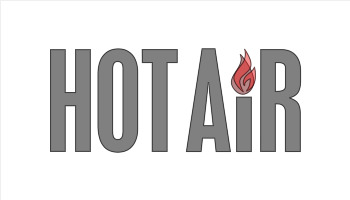 Prager University’s Will Witt read the book that encourages children to be leftist activists. A Roman Catholic diocese acknowledged Wednesday that it concealed for decades a priest’s admission that he sexually abused dozens of Iowa boys — a silence that may have put other children in danger. In 1986, Coyle reported his “history of sexual attraction to and contact with boys” to Sioux City’s bishop, revealing that he had victimized approximately 50 youngsters over a 20-year period while serving in several Iowa parishes , according to a private letter written in February by the diocese vicar general and obtained by the AP. The diocese told the AP on Wednesday that it never contacted police or informed the public after Coyle’s admission. “The diocese admits it could have been handled better,” diocese spokeswoman Susan O’Brien said. But she said the policies in place at the time did not call for notifying police or the public. Instead, the diocese at the time announced without explanation that Coyle was taking a six-month medical leave of absence. Church officials transferred him to a treatment center in New Mexico, the Servants of the Paraclete, where other accused priests nationwide were once commonly sent. Coyle was stripped of his ability to lead Mass and otherwise function as a priest. But he never faced further punishment and lived in Albuquerque, New Mexico, until recently, retaining the title “father” and collecting financial assistance from the diocese. Coyle is unlikely to be prosecuted for any of his long-ago offenses because the statute of limitation has run out. He has not been named in any civil suits, and O’Brien said the diocese has never paid a settlement related to him. He has not been publicly accused of molesting any minors in the past three decades, but lawyers and detectives are looking into what he has been up to since 1986. Fort Dodge police interviewed Coyle and searched his apartment last month after being tipped off that he was living near a school. Coyle declined to comment Friday after answering the door at his apartment. The bishop to whom Coyle reported his abuse, Lawrence Soens, retired in 1998. A review board later found that Soens himself had abused students when he was a priest and parochial school principal. As a member of the clergy, Soens was not a mandatory reporter — someone obligated to tell police about child abuse allegations — under Iowa law. But critics said he still should have called authorities, sought to have Coyle defrocked, alerted the public and asked victims to come forward. Soen’s whereabouts are unknown. Unlike other dioceses, Sioux City has never released a list of priests who have been credibly accused, despite calls from victims to do so. The case has come to light amid a push by prosecutors around the country to hold the church accountable, not just for the sexual abuse of youngsters but for efforts to shield accused priests. In recent months, authorities in at least a dozen states have opened investigations, and federal prosecutors have launched an unprecedented statewide probe in Pennsylvania. “The letter was very scary for us as parents,” said Reuben Ortiz, who had been friends with Coyle for years and was unaware of the extent of his abuse. He said that he confronted Coyle and that the priest could not guarantee that he would be able to refrain from fondling his son. But Coyle had nowhere to go and continued living there until June, when deacons from Sioux City moved him back to Iowa. “I was up day and night for days sometimes, patrolling my own house,” Reuben Ortiz said. The diocese offered to increase Coyle’s monthly retirement assistance by $575 so that he could afford an assisted living home in New Mexico. But that idea didn’t work out, and the church instead helped him move to Fort Dodge, into a care facility adjacent to Saint Edmonds Catholic School, whose students routinely visit. “This is the time for Father Coyle’s victims to seek justice, and the time for the church to account for its cover-up,” said attorney Levi Monagle. Experts called the Sioux City letter extraordinary for its written acknowledgment of abuse and continuing concealment. “The letter shows in black and white that the system of covering up continues to this day, even after everything that’s occurred,” said attorney Craig Levien, who has represented dozens of abuse victims. With President Donald Trump getting a cool welcome from the Jewish community in Pittsburgh, Israel’s envoy to the memorial ceremonies for the synagogue shooting victims has come to his defense, saying it was “unfair and wrong” to link him to the tragedy. Pennsylvania’s governor and the mayor of Pittsburgh declined to join Trump during the visit, and one of the families of the 11 victims of the deadliest anti-Semitic attack in US history asked not to meet him. Adding to the anger was the shooting suspect’s apparent targeting of a synagogue because of his outrage over a Jewish refugee agency that has become a target of conspiracy theories among Trump’s nationalist base. 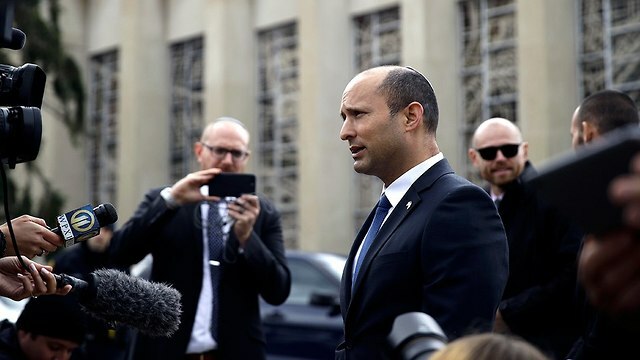 However, Diaspora Affairs Minister Naftali Bennett took issue with those he said were “using this horrific anti-Semitic act to attack President Trump.” “This is unfair and wrong,” said Bennett, who rushed to Pittsburgh after the shootings to offer Israel’s support to city’s Jewish community. “President Trump is a true friend of the State of Israel and to the Jewish people. With President Trump we never have to worry if he has our backs.” Israel’s envoys to the United States and the United Nations have also tried to distance Trump from the attack. 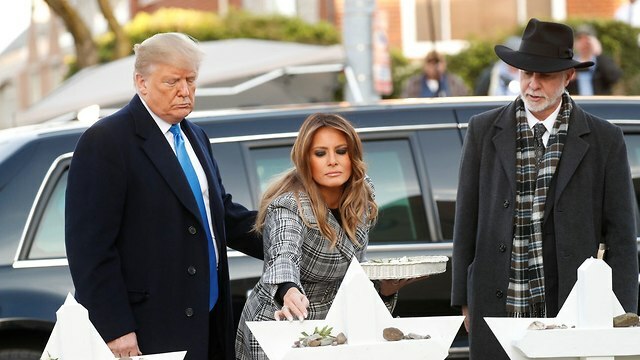 Trump visited the Tree of Life synagogue and lit candles for the victims before visiting survivors in the hospital. 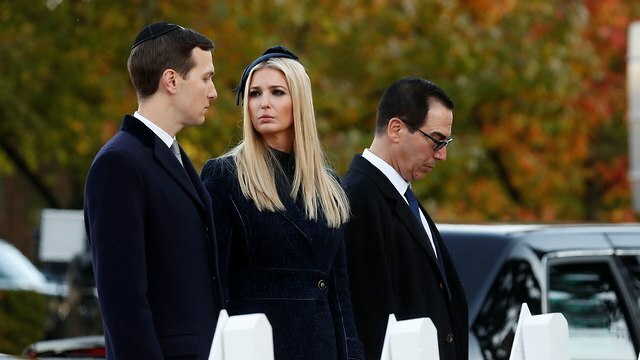 He was accompanied by his daughter Ivanka, a convert to Judaism, and her Jewish husband, Jared Kushner, as well as Israeli Ambassador to the US Ron Dermer. Dermer also backed Trump, saying he was “not aware of a single non-Israeli leader that has made such a strong statement in condemning anti-Semitism.” Nancy Bernstein, co-chair of J Street Pittsburgh, a liberal American Jewish group, said that many American Jews accuse Trump of contributing to the polarized atmosphere that led to the shooting and were unhappy about Israeli leaders being so close with the president. She took particular aim at Bennett, who has been a visible presence in Pittsburgh after the shooting attack. “He has a history of inciting against refugees in Israel, and this was the very reason that 11 people were murdered in our synagogue here,” she said, referring to the shooter’s anger toward a Jewish group that assists immigrants in the US. “As Jews, we were once refugees and immigrants,” she added. “We understand what it’s like to be turned away and not taken care of. Most of us get it.” The Israeli government’s consistent support for Trump has far less to do with his controversial domestic policies and more with the blanket international support he has granted Israel. Fulfilling a campaign promise, Trump recognized Jerusalem as Israel’s capital and moved the US Embassy there. In a break from previous administrations, he has placed the blame for failed peace talks solely on the Palestinians and refrained from criticizing Israeli settlement activity. He also pulled out of the Iran nuclear agreement, a step welcomed by Prime Minister Benjamin Netanyahu. Netanyahu has also angered the liberal Reform and Conservative streams of Judaism, which represent the majority of affiliated Jews in the US, by siding with Orthodox rabbinical authorities on issues of recognition and pluralism in Israel. Democrat Jon Tester is a liar. Senator Jon Tester (D-MT) was Democrat point person behind the smears and destruction of Trump VA pick Admiral Ronny Jackson in April. Admiral Ronny Jackson was the physician for George W. Bush, Barack Obama and then Donald Trump for one year. Jackson received excellent reviews by the Bush and Obama administrations. Tester’s accusations were complete garbage but Jackson was forced to resign from his promotion because the damage by Jon Tester and the Democrat media was too extensive. That’s what Democrats like Jon Tester do. They lie and destroy good men. Senator Jon Tester is up for reelection this year in Montana. On Wednesday Republican Matt Rosendale got some good news. Libertarian candidate Rick Breckenridge dropped from the race and threw his support behind Rosendale. The Libertarian candidate in Montana’s U.S. Senate race threw his support behind Republican Matt Rosendale on Wednesday in response to an election mailer from an unknown group that appeared aimed at undermining Rosendale’s support among conservatives. Rosendale, Montana’s state auditor and insurance commissioner, is in a tight race against two-term Democratic Sen. Jon Tester, with the balance of power in the closely divided Senate potentially at play. 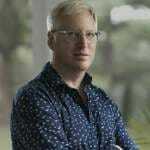 Libertarian Rick Breckenridge has virtually no chance of winning. But his participation has threatened to peel away votes that might otherwise go toward the Republican and boost Tester’s chances next week. The mailer comes two days before President Donald Trump plans to hold a campaign rally in Bozeman supporting Rosendale — the president’s fourth visit to the state and an indication of how much the White House wants to unseat Tester. Trump has blamed the Democrat for derailing the nomination of his first choice to head the Veterans Affairs department.